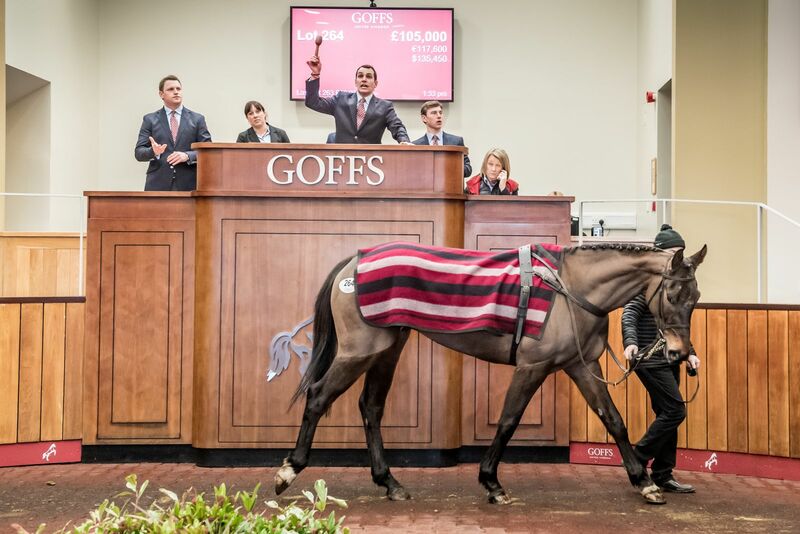 The two-day 2019 Goffs UK January Sale at Doncaster came to a conclusion today with the final session offering Horses-in-Training and a number of high-class UK and Irish Pointers. Following on from yesterday’s opening day which offered National Hunt Mares and Foals, today’s session offered drafts from a number of major owners and trainers and was topped by Kilkeaskin House’s Point-to-Pointer Presentandcounting (Lot 264). The 5YO son of Presenting was the impressive twelve-length winner of his most recent P2P for Philip Dempsey at Aghabullogue earlier this month and was sold to Derek O'Connor for £105,000. Presentandcounting was one of nine horses to sell for £50,000 or more today with other lots to feature including Tom Keating’s winning Pointer Dolphin Square (Lot 274) selling to David Christie Bloodstock for £80,000 and Paurick O'Connor Racing’s winning Pointer Avoid De Master (Lot 259) knocked down to David Dennis Racing for £75,000. “For today’s Horses-in-Training and Point-to-Point session to surpass last year’s turnover and clearance rate was a satisfying result in a changing market, as was to see yesterday’s NH Foal session produce the third highest average price in the sale’s history.